Game manuals are all but obsolete these days. Not only do we rarely buy games physically, but one sign of 'good game design' by modern standards is when the player intrinsically knows what to do, is invited gently into an experience by subtle training. No need to study rules and controls. The manuals I remember were treasures, though, vividly-illustrated and explicated guides to the worlds I played in. They turned crude, chunky computer images into imaginary places and characters that felt real. The blocky sprite on my screen became a tall, luminous watercolor heroine in my manual. Maps and bestiaries made the confusing conquerable. Sometimes the manuals left space for your own maps and notes, your scrawl of distinction and ownership. 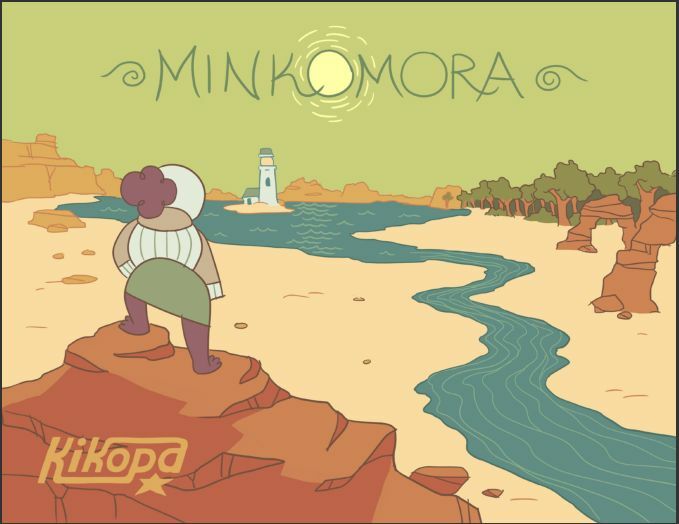 I'd sort of forgotten how much I liked that feeling til I came across the manual for Minkomora, a new game from Joni Kittaka and Merritt Kopas (working together as Kikopa Games). It's a simple exploration game you can play in your browser, but it's valuable to read the beautiful PDF manual first. You can download it for free, or pay as you like.